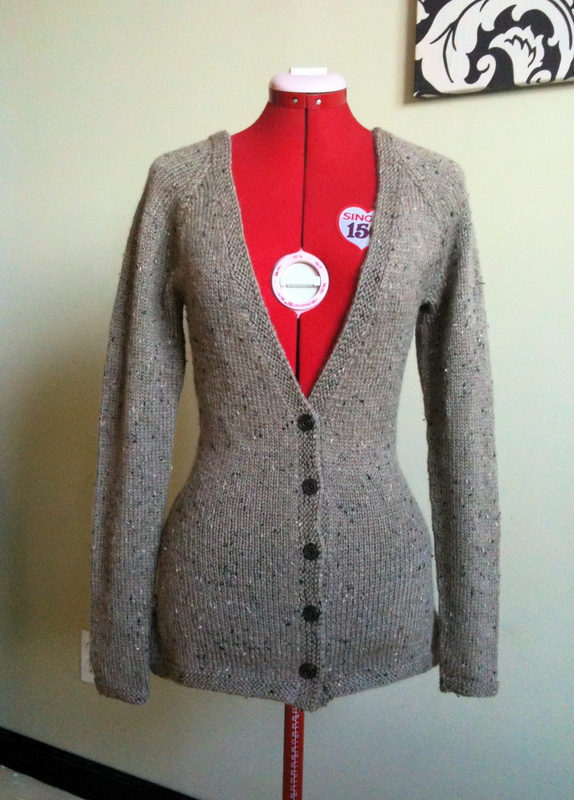 I finished knitting my Tweedy Cardigan this week. 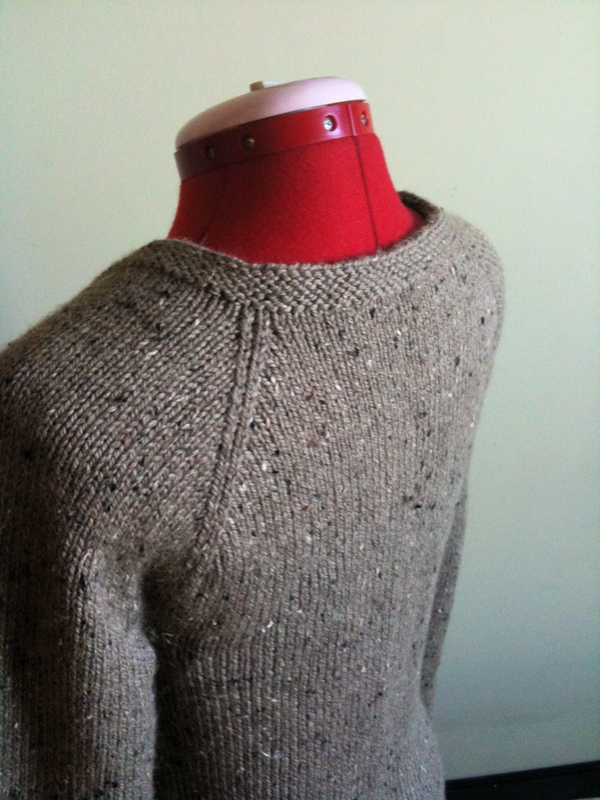 I’m glad I ripped back and re-knit the neckline because it looks much better this time around. It is a lovely, soft, warm cardigan. And It looks terrible on me. I can make it look nice and pretty on the dress form, but when I put it on, it is loose across the chest/underarms and tight across the hips. 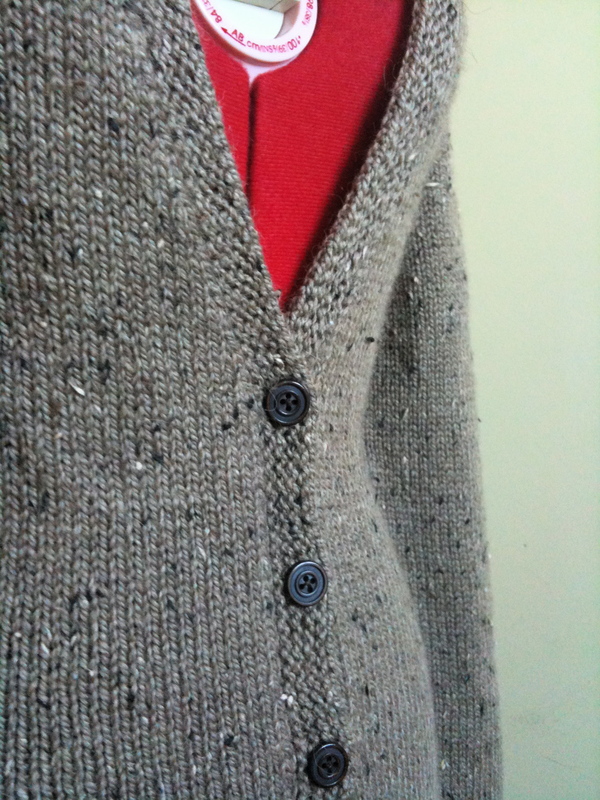 I think part of the looseness is due to the fact that it is such a low-v neck that the buttons don’t start until below the waistline, so there’s nothing to hold the sweater together in the front. While moving around in it, it starts creeping off the edges of my shoulders. The tightness across the hips can probably be alleviated by a bit of block-and-stretch, so I’ll try that one of these days. For now, I’m just going to go knit on something else.